We all know this is set to be an iOS Christmas — now it is interesting to discover that Apple’s iPad is so popular there’s an increasing wave of two or more iPad households, according to reputable research from YouGov. Researchers found nearly a fifth (17%) of Apple iPad owners state that there is more than one tablet in their household, either owned by themselves or another family member. 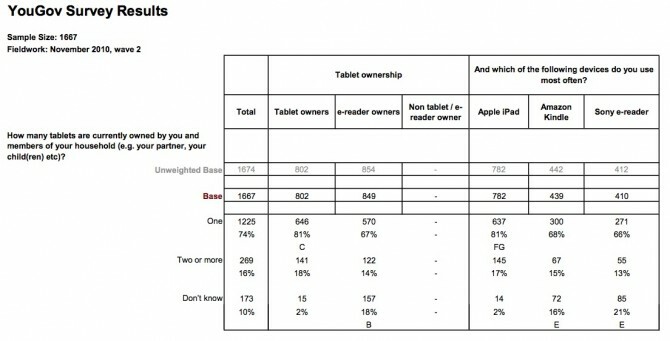 YouGov interviewed 4,537 respondents, of which 802 were tablet owners, between 8th November and 15th November 2010. All interviews were conducted online with YouGov panellists.